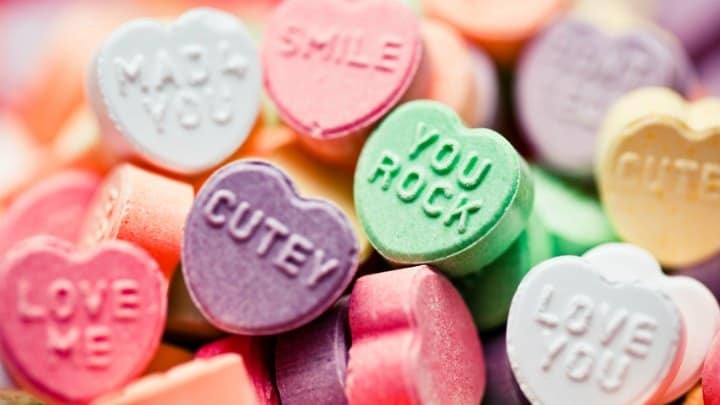 Who doesn’t love the sweet candy known as Conversation Hearts? I know I do! It’s so much fun reading those loving and sometimes humorous messages before popping those candies in your mouth. Since they are so popular around Valentine’s Day, why not use them as an object lesson? That’s what I plan to do. Here is my idea. I like you a little. Can I break your heart? You get the idea! Now put the list somewhere around your teaching table along with a box of Conversation Hearts. Now you are ready to teach! Hide the rest of the candy until you are ready to share them. This is awkward? I never heard of God saying that to anyone, have you? (Let kids comment and share a good laugh.) That must be a fluke. Let me try another one. (Pull out another heart and read from the fake list.) Do I know you? What? This can’t be right. Jesus says in Luke that the very hairs of my head are numbered and that God has my name written in the palm of his hand. Of course He knows me. This must be a joke. Let’s try another one. (You know what to do!) I like you a little. Whoa! Now I know this a joke box because God doesn’t like me just a little. He says in His book, the Bible that He loves me with an everlasting love. That’s big love! That is much more than a little. Hmm…I’m beginning to suspect that this box is rigged. Oh boys and girls, this is completely wrong and I must have picked up the wrong box. God will never break our hearts. In fact, He is the mender of broken hearts. Let me look and see who this from. I knew it! This is a joke box. Well I have boxes to send home with you and they are no joke because God loves you and so do I! Tony Kummer (Editor) reviewed & updated this page on : February 10, 2016 at 12:44 pm. All our content is peer reviewed by our readers, simply leave a comment on any post suggest an update.